It’s been a hot minute since I’ve written a beauty post, hasn’t it? 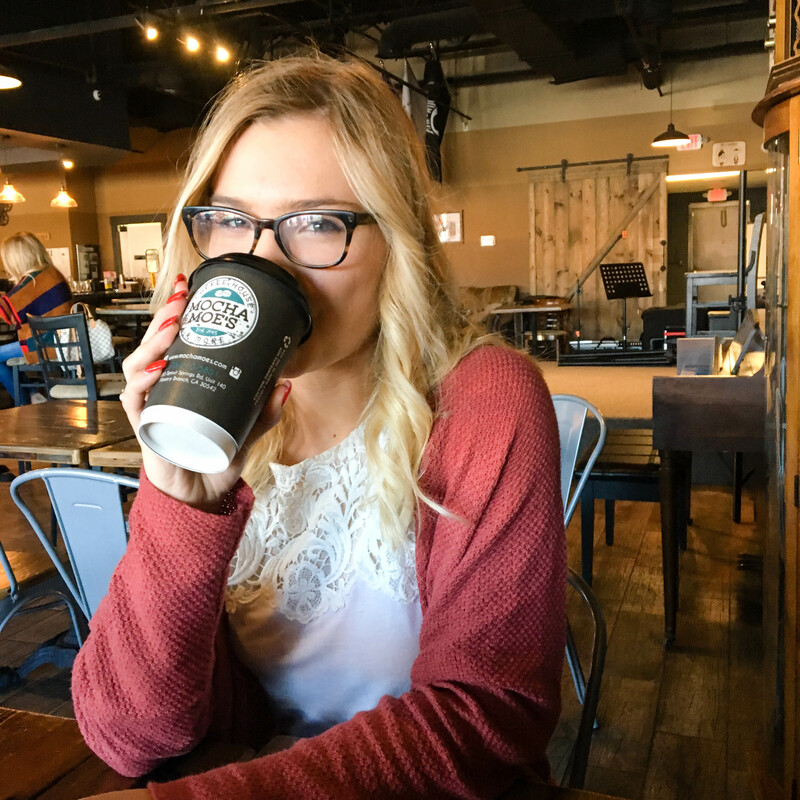 Today I’m sharing my makeup essentials, and I have so many “essentials” that this is really just a boiled-down version of my daily makeup routine. But the more the merrier, obviously. I’ve gone through at least 3 bottles of this stuff. Once I find a product I love I really tend to latch onto it, and the MUFE Ultra HD collection is no exception. It’s got great coverage and goes on really nicely, so what more could you ask for, really? Yves Saint Laurent Touche Eclat Radiance Perfecting Pen That’s really just a fancy name for under-eye concealer, haha. 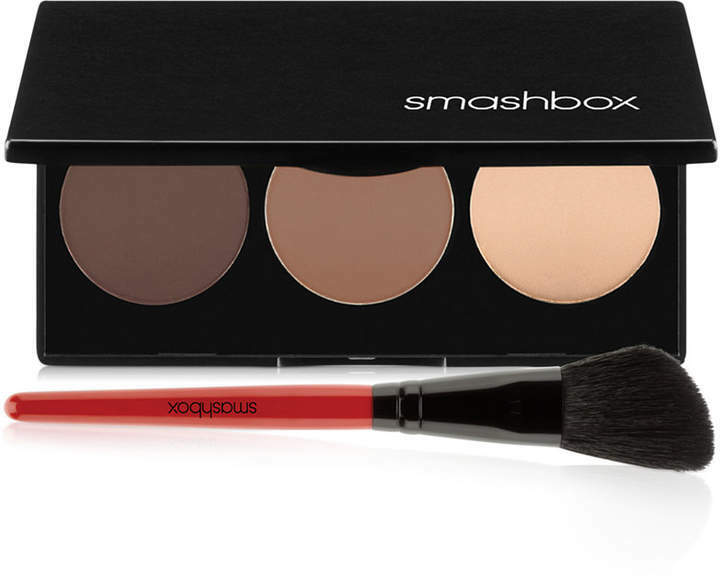 It’s a lighter coverage concealer, but it’s perfect for pretending you got more than 5 hours of sleep the night before. I use a shade lighter than my natural skin tone to really bring out the brightening effect. Sensing a trend yet? This stuff is fab for covering up the occasional blemish and touching up any areas that may still be a little less-than-perfect after applying my foundation. Yes, I did it. I hopped on the “baking” trend. If you don’t know what that is, it’s basically putting a thick layer of powder on your skin in oilier areas (aka the top of your cheekbones, bridge of your nose, above your eyebrows) and letting it sit for a few minutes to “bake” your foundation into the skin before brushing off the excess. There’s some sort of science behind it, I’m pretty sure. 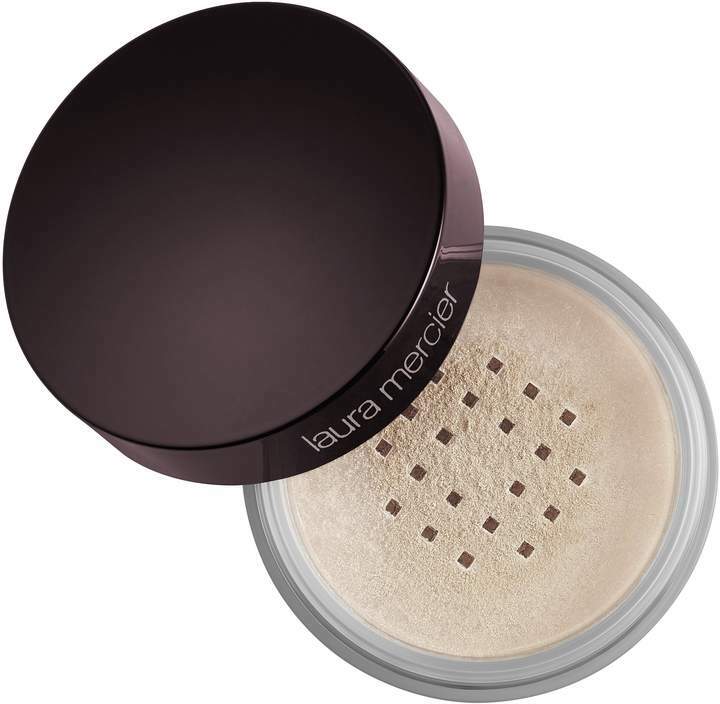 Regardless, this powder is basically the holy grail of baking. Another product I’ve gone through at least 4-5 times. I use this as a final touch all over my face to set my makeup in and keep my skin from getting too shiny throughout the day. 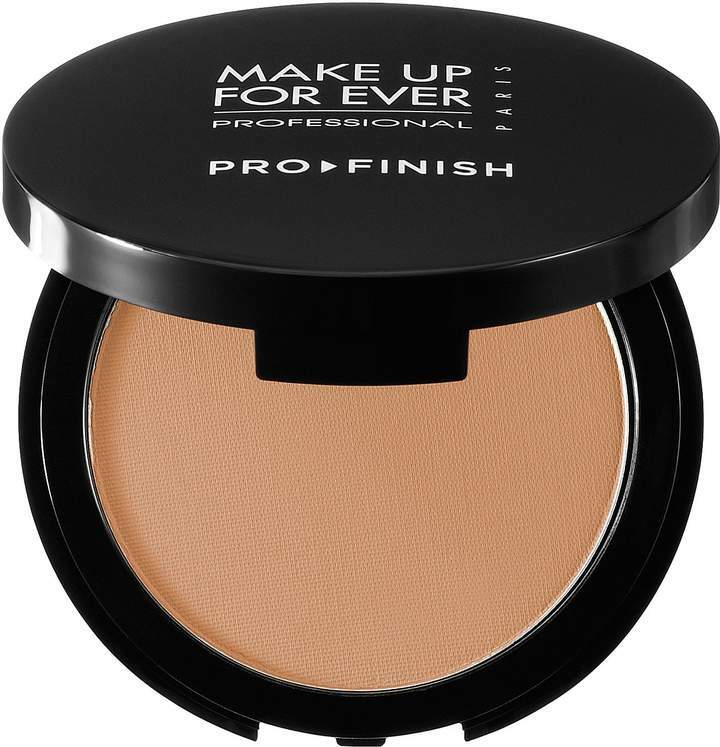 I’m putting this in my must-haves because contouring is one of the most important parts of my makeup routine (baby face cheeks, man), but I don’t want to provide any solid recommendations on this particular product because I actually just made the switch from my old Anastasia kit (that was breaking me out sadly). So far I love the pigmentation and blendability though. NARS Blush in Mata Hari This blush looks so intimidating in the package, y’all. It’s a bright, bright pink in the pan, but when you put it on it’s got a much more coral-y tone to it. I’m a huge fan. This product definitely had its heyday a while ago, and I just recently jumped on the bandwagon. 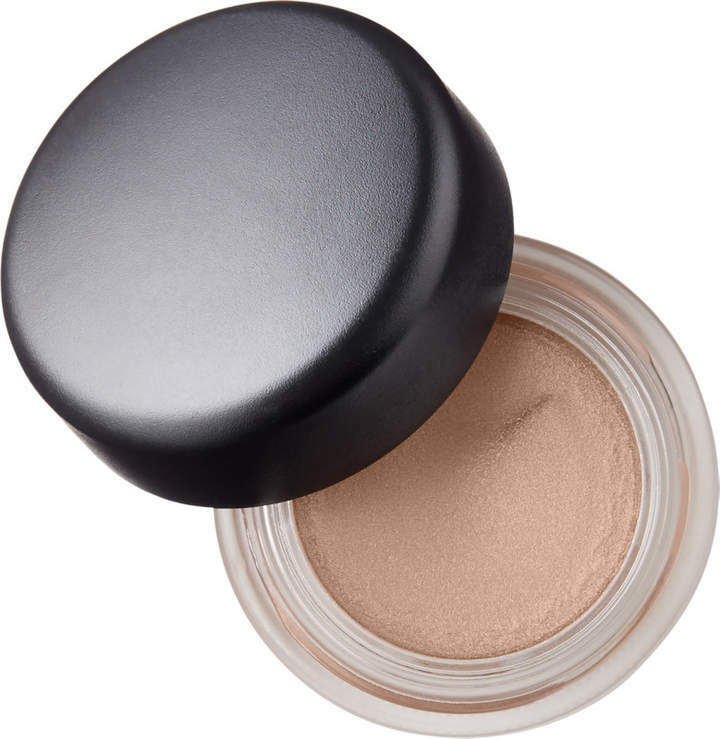 It’s basically a cream eyeshadow that’s completely neutral (no sparkle or anything) that works as the perfect eyeshadow base. I also just wear it on its own a ton because I’m too lazy to lug around an eyeshadow palette when I work out in the mornings. I also have a major thing for Kat Von D products. I love how easy this stuff is to use and how pigmented it is. The only thing I don’t like is how quickly I feel like it dries out, but I’ve also tried the Stila version and at this point I’m pretty sure it’s just a fact of life when it comes to liquid liners. You can tell how much I love this product from my cover photo, considering I’ve clearly used it so much the NARS logo has almost entirely faded off. 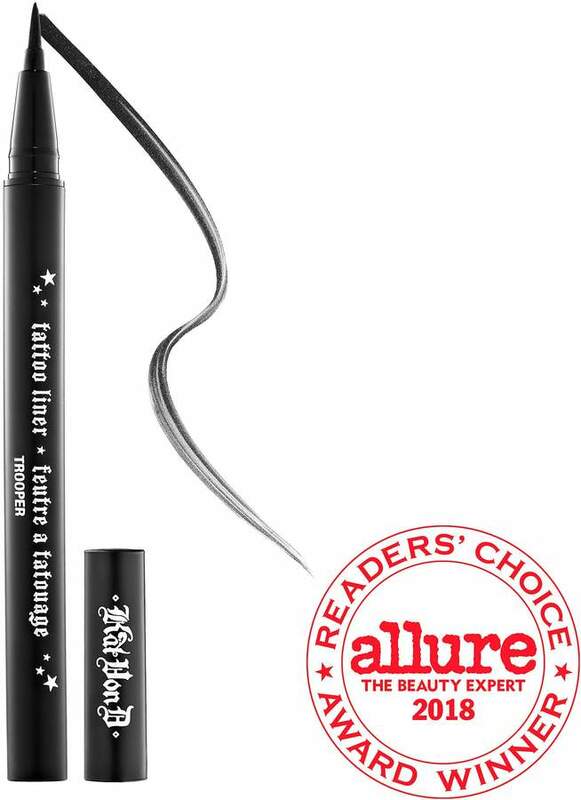 It’s the only pencil eyeliner I’ve found that stays on my waterline and doesn’t end up halfway down my face by 4 p.m.
Ugh, I love this stuff so much. I generally buy travel-size mascara because who goes through a whole tube of mascara in 6 months anyways, and this stuff has to be my favorite. It makes my lashes look great and makes my eyes actually look like they’re open, which is a major feat because I have the squintiest eyes ever. 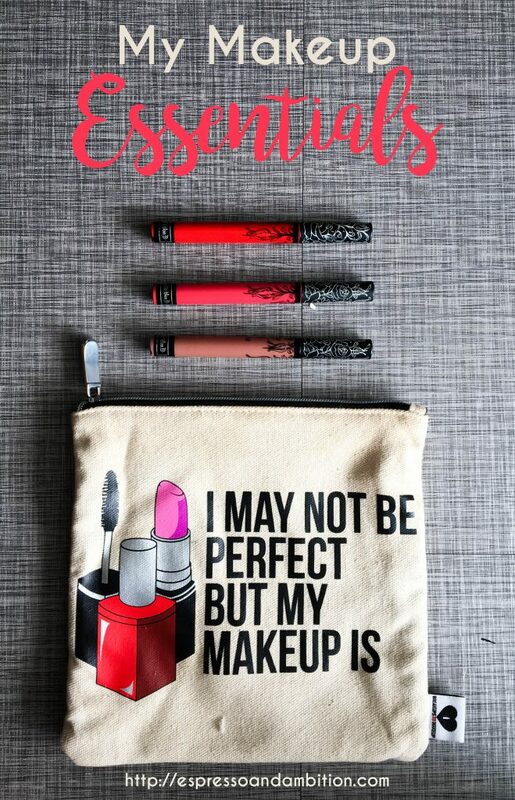 While I don’t have one lip product that’s an “essential,” I couldn’t write a post without mentioning lipstick because I literally feel like I’m missing a part of my face when I do a full face of makeup and don’t put on any lipstick. This one, Berlin, is a perfect pinky coral and really nice and versatile – but my favorite changes almost daily. Great post! 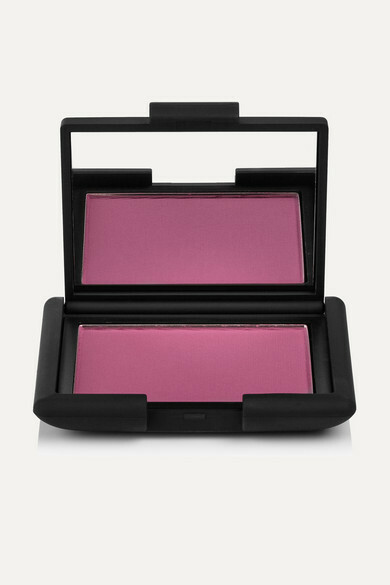 That blush looks super pigmented to be a blush, but I bet it does look really pretty. You should do a post on your favorites like all-time favorite foundations, blushes, etc. Beautiful blog!I loved all the makeup collections, especially the liquid lipstick is so pretty.what shades are available?